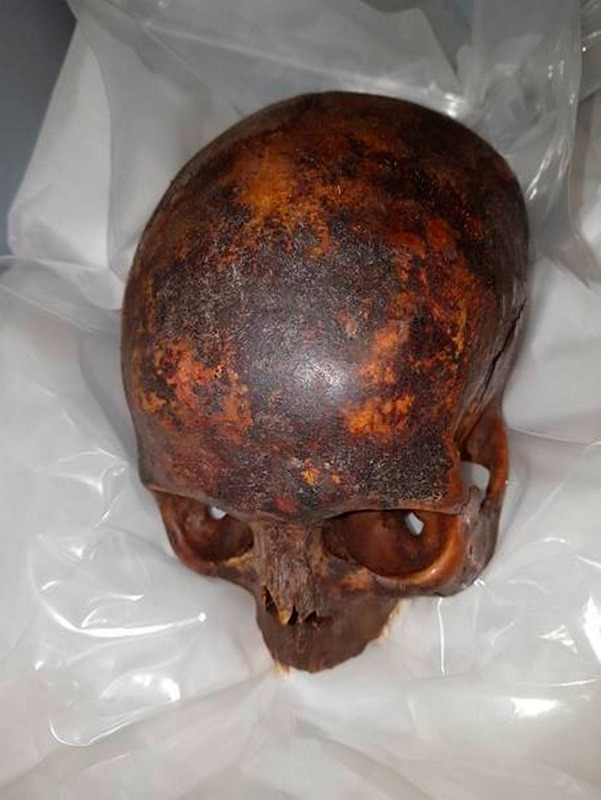 Found: One of the skulls stolen from St Michan’s and recovered by gardaí. The suspect responsible for the desecration of the crypt at St Michan's Church was caught on CCTV walking along the quays with the head of an 800-year-old crusader and another skull in a shopping bag. At lunch time yesterday, the historic items that had been stolen from the tomb were discovered together in a bag on the grounds of the church in north Dublin after apparently being left back at the location overnight. A massive investigation, led by officers at the Bridewell garda station, is ongoing into the bizarre crime which happened at around 11.30pm on February 23. "Major progress has been made to date - good quality CCTV has been obtained, forensic specialists are involved and big resources are being put into this," a senior source told the Irish Independent last night. "There is a firm belief that there will be a successful outcome," the source added. Investigations have established that the suspect is most likely a male aged in his 40s who is caucasian and was "more than likely" intoxicated on the night. David Pierpoint, Archdeacon of Dublin, beside the entrance to St Michan’s crypt. He gained entry to the crypt by using an iron bar to break through a steel door and a metal gate, and detectives believe that he had visited the church in the past. Substantial damage was caused to the tourist attraction and the head of an 800-year-old mummy called the Crusader was stolen. The remains of a 400-year-old nun also suffered damage. 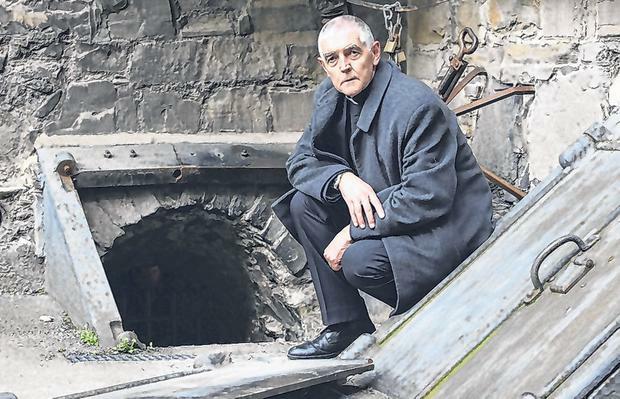 Archbishop of Dublin Reverend Michael Jackson welcomed the recovery of the skulls. He said in a statement: "We in the United Dioceses of Dublin and Glendalough are delighted that both the head of the Crusader and the skull which also was in the crypt of St Michan's Church, Church Street, Dublin, have been recovered."